via Juno: Scholars of UK bass culture will know just how much of an integral role Horsepower Productions played in the formation of dubstep, teasing darker strains of sub-bass into garage at the turn of the century. 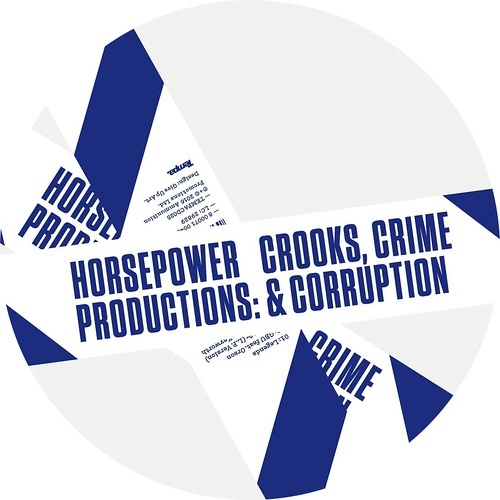 Four years on from their last album, dubstep pioneers Horsepower Productions are back with a new LP called Crooks, Crime & Corruption. Issued through the good ship Tempa, Crooks, Crime & Corruption sees Benny Ill and company allow a certain amount of light to shine through but this is still resolutely Horsepower. 2011 tracks “Good Ole Dayz” and “Justify” both feature here in newly reworked format, with Horsepower also seeking out contributions from Berlin producer Orson and vocalist Harry Keyworth. Exclusive Preview: Alister Johnson "Broken Body"